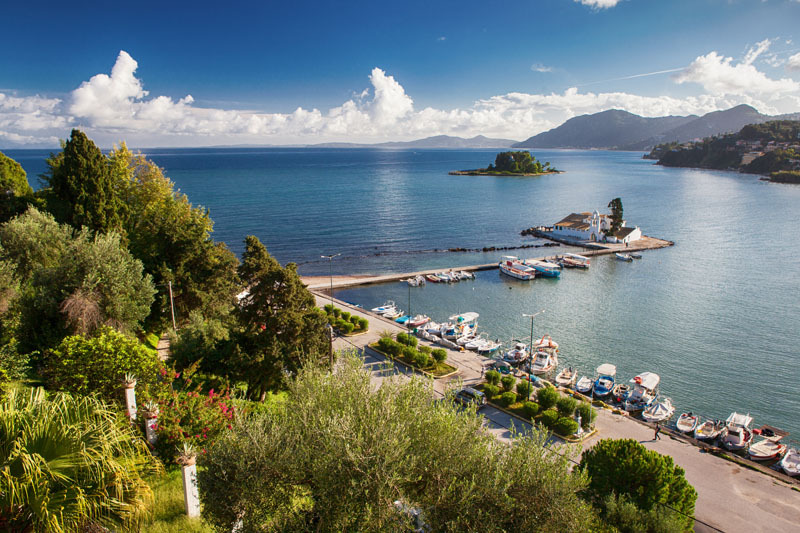 Leaving your cruise ship you can plan your own mini bus tour around the beautiful Corfu Island or let us plan your tour according to your preferences and interests. 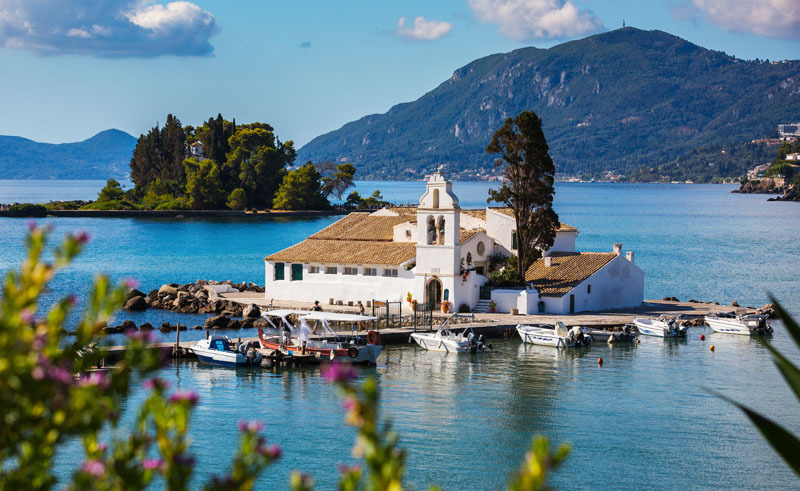 With your partner, friend or group of friends, on a spacious mini bus, enjoy sightseeing to the most beautiful places of Corfu island. 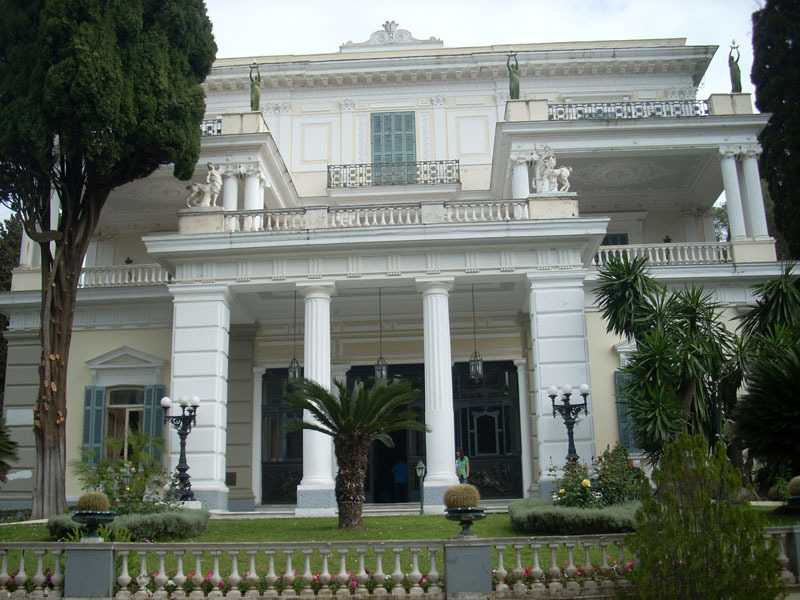 If you choose a short, half day tour, there is unique suggestion for an unforgettable tour around Corfu. Starting from the port the mini bus will be waiting just outside the main entrance of the port upon your arrival. Your group tour or even private tour starts from there. First stop will be at Achilleion. 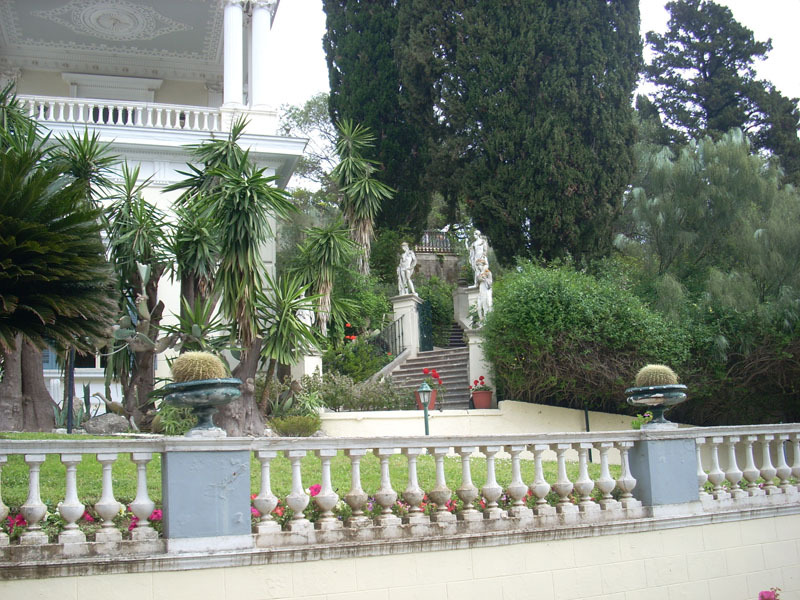 The Achilleion palace is located upon a hill on the traditional Corfu village Gastouri. 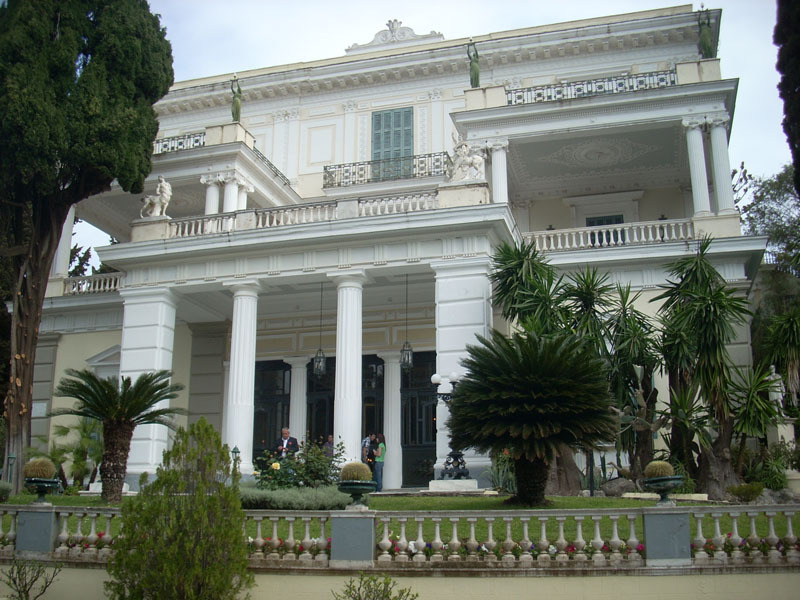 A strange sense of awe overwhelms anyone that gazes over the imposing form of the Palace which dominates the area with its presence, residing between the cypress trees and other exotic plants and flowers which surround it. The palace was built for the Empress Elisabeth to escape the tragedies of her life and William II purchased it after her untimely death. 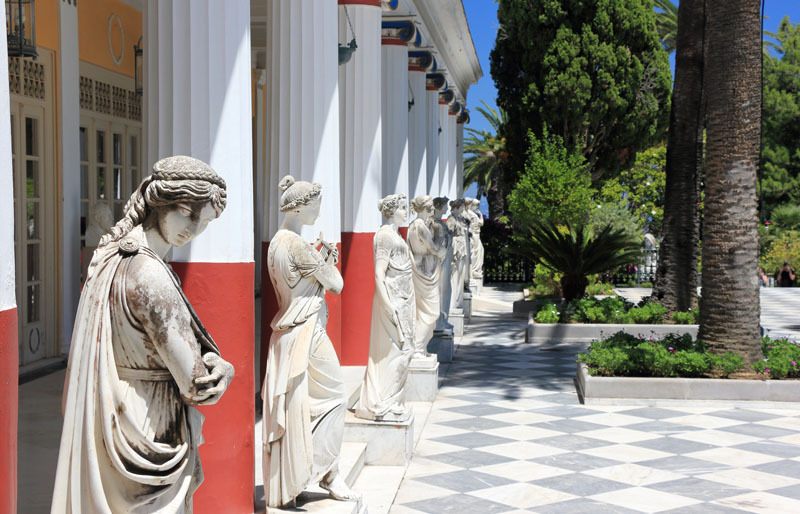 Entering the palace you will be amazed by the beautiful gardens that surrounds the palace and the invaluable peace of arts like the ancient Greek statues of Zeus and Era and other smaller statues and sculptures. The roof, the surrounded walls, even the Catholic chapter of Elisabeth inside the palace are referred as precious peace of Arts. 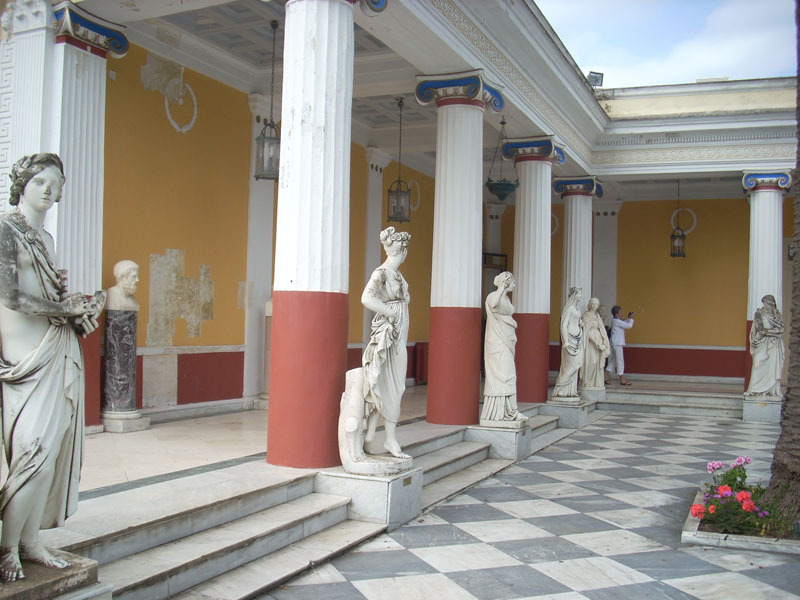 Even the outer area of the palace is decorated with columns, the ‘Peristyle of the Muses’, but the most valuable statue of Achilleion is the ‘Dying Achilles’ that represents Achilles dying trying to remove the spear from his ankle. It is the largest statue of Achilles, with unbelievable dimensions, which presents Achilles in a moment of victory. Next stop Kanoni. 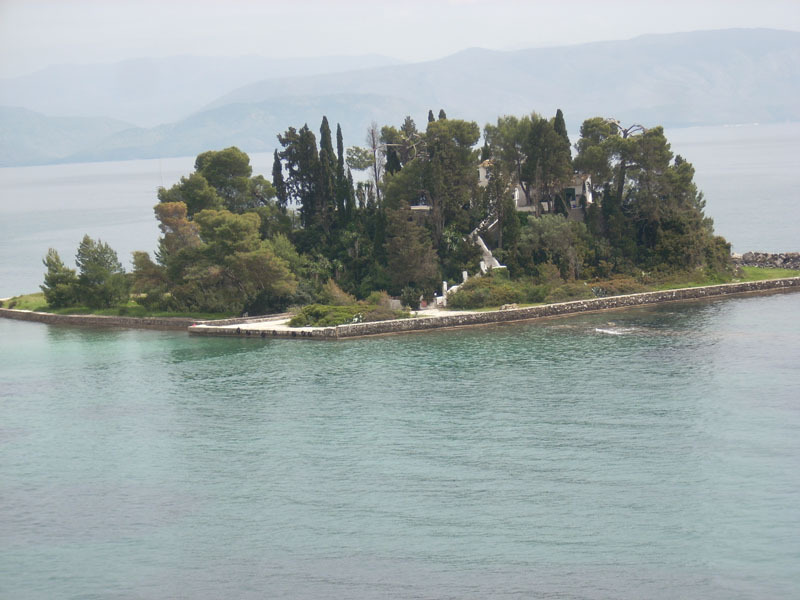 Following a seaside road passing traditional villages on the west coast of Corfu we drive to Kanoni. From Kanoni you can admire the famous view of Mouse Island (‘Pontikonisi’). According to the legend Mouse Island was formed when the ship that had taken Odysseus back to Ithaca, his home port, was turned to stone by Poseidon, god of the sea, angry at being defied by the Phaeceans. Under the Hill of Kanoni is the Convent of Vlachernas. From here you can take the boat to the Mouse Island itself. From Kanoni your tour continues to Mon Repo. 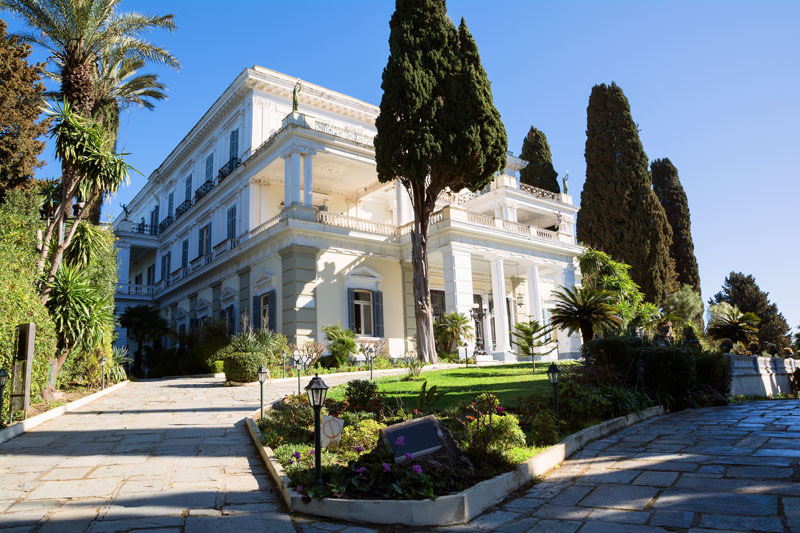 Mon Repo park is a beautiful forest park inside of which is located the former summer residency of Queen of Greece, Konstantinos. 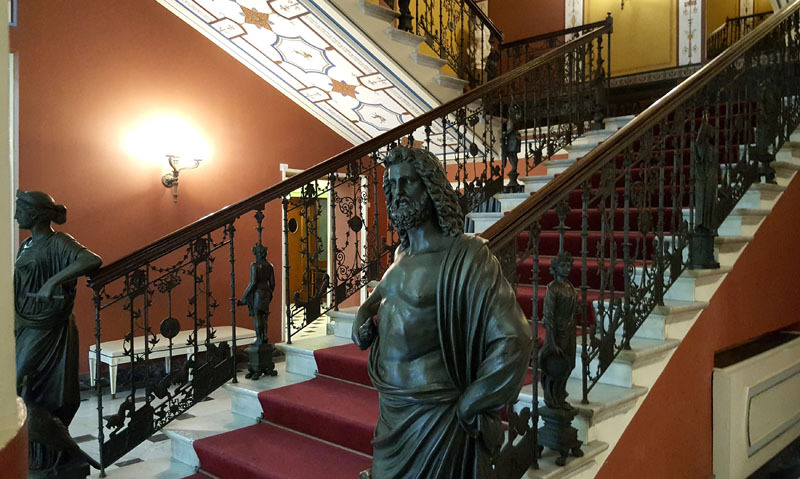 The villa now, has become a museum open to all visitors. Further into the forest in Mon Repo’s Park there is a small Doric temple probably dedicated to Poseidon and dating from around 500 BC. 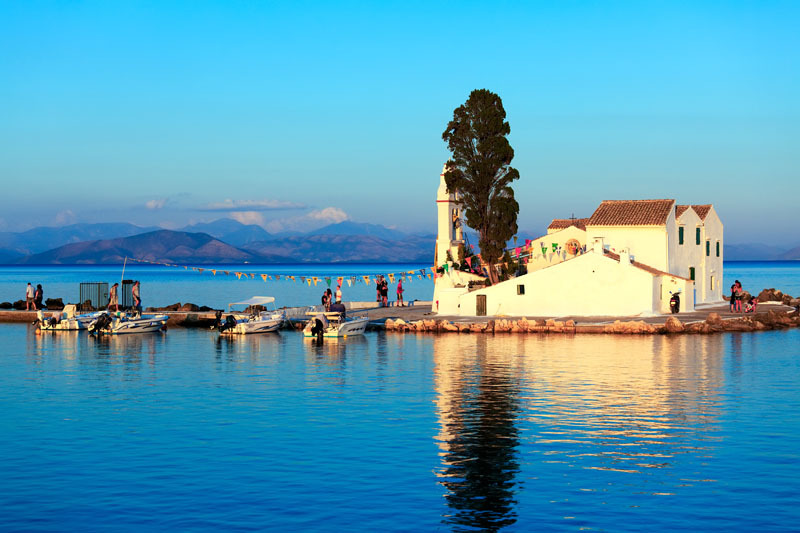 Following a the path that is now created the tour into Mon Repo will lead you to the spring of Kardaki, by the sea. The spring with its water flowing from the mouth of a lion, is reputed to never dry up. According to the tradition, anyone who drinks from it is destined to return to Corfu. Next stop the old Fortress into the Old Corfu Town Center. 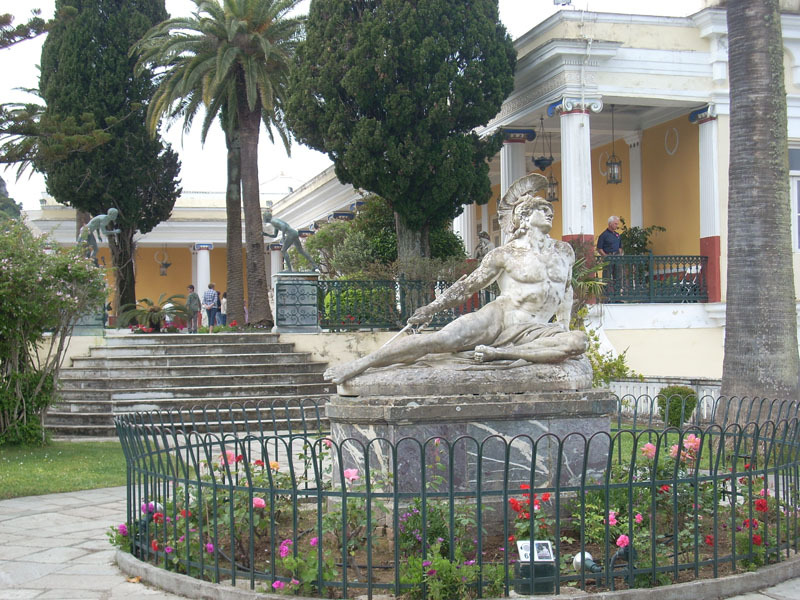 The Old Fortress remains one of the most interesting tourist attraction of Corfu Island. Builded originally by the Venetians and a couple of centuries later British made some alterations. 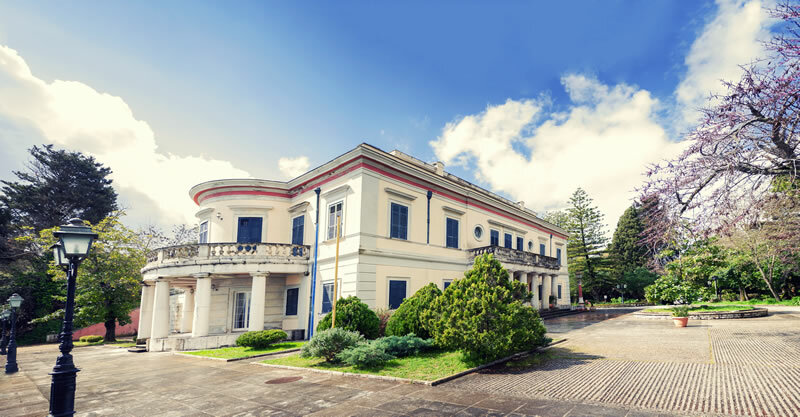 It is a Byzantine Castle builded in the 15th century with an exceptional historical beauty and one of the most finest views from the top of the fort, of the island and old Corfu Town City. From the Old Fortress your tour continues on foot visiting the Venetian style old Corfu Town center. 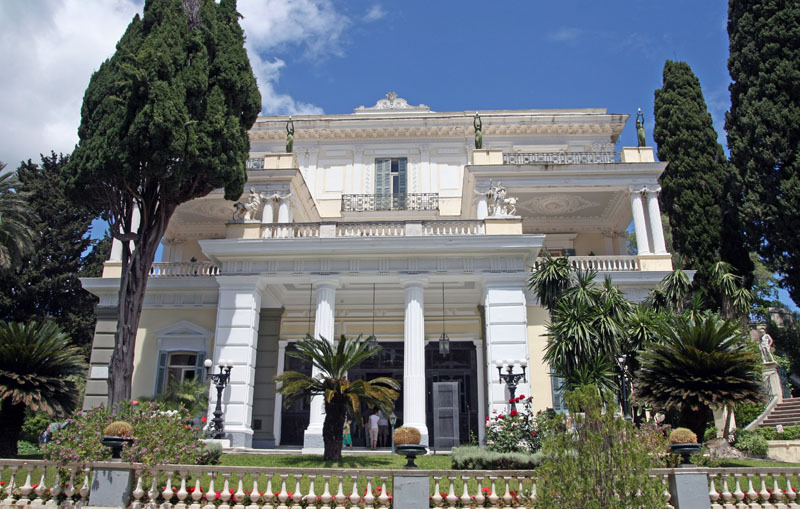 The narrow streets between the houses, the numerous churches around every corner and the well know Liston, will amaze you and complete your tour in Corfu. 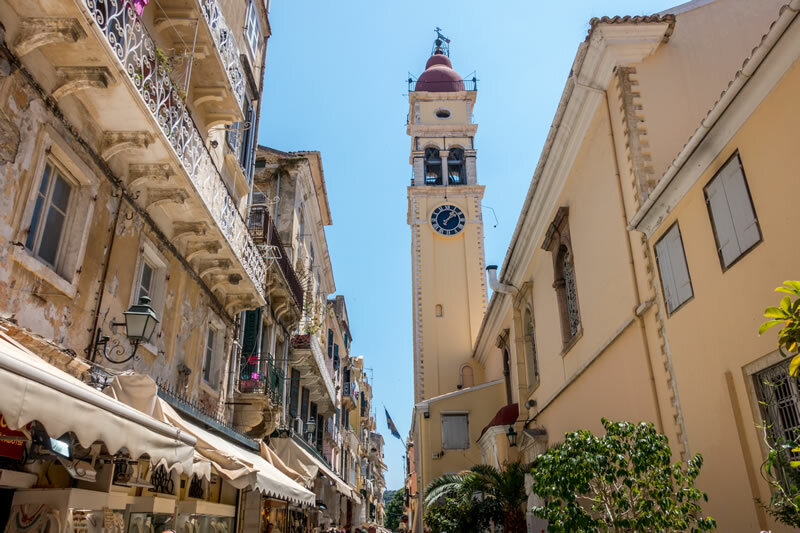 Into the old Corfu Town center you can do some shopping, taste some of the traditional local foods of Corfu in one of the plenty restaurants which you will meet or even have a coffee in one of the Liston’s Cafes. Liston was built by the French in the same style as those in Rue de Rivoli, in Paris. Last stop Saint Spyridon Church in the heart of Old Corfu Town. The church was built in 1596 to house the relics. According to the local people Saint Spyridon, know also as the Miracle-Worker, has brought them safely through many trials, frightening both cholera and the Turks away from his beloved worshipers. It is the main Church of Corfu and a tremendous monument. So with the blessings of Saint Spyridon your mini bus tour comes to its end. You will be transferred to the point where your tour had started, just outside the main entrance of the port, a few meters from your cruise ship, from where you can get back on board of your cruise ship filled with all these new pictures of the sceneries of the different places from your mini bus tour around Corfu Island. For winter early bookings -10% discount on your summer tours! Please complete the booking form in order to get the full price of your tour. Estimated time of reply: 12 hours.